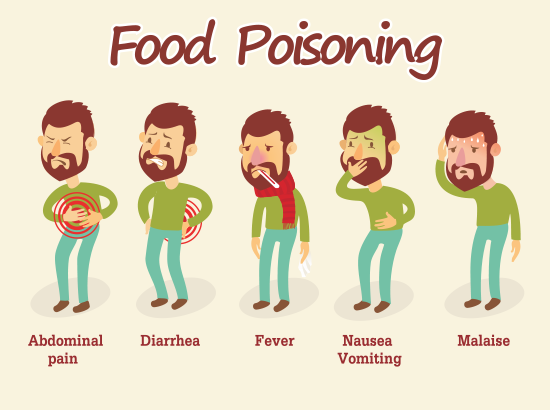 Major causes of food poisoning | Lettuce and Shellfish, responsible foods. There are approximately 76 million cases of food poisoning in the USA every year. A small percentage of these are carried to hospitals and the other smaller portion cause death, but the majority mostly rest in the toilet for hours. 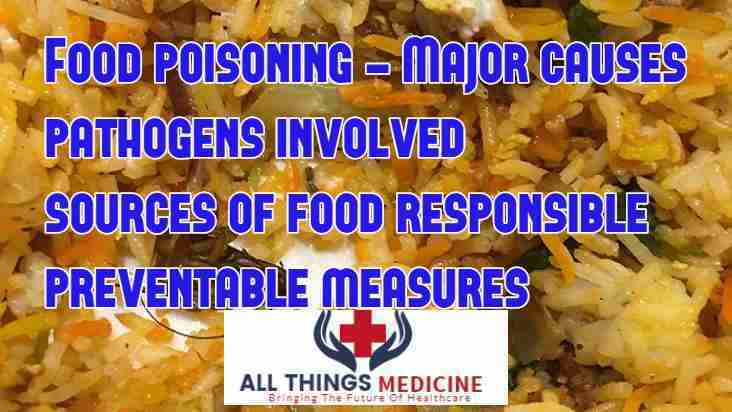 This article focuses on the major causes of food poisoning. If you have had food poisoning lately, Most likely you must have blamed bacteria. Indeed, salmonella and Escherichia coli are responsible for many diseases linked to uncooked food, especially poultry, but viruses too have the same ability and can be blamed culprit. 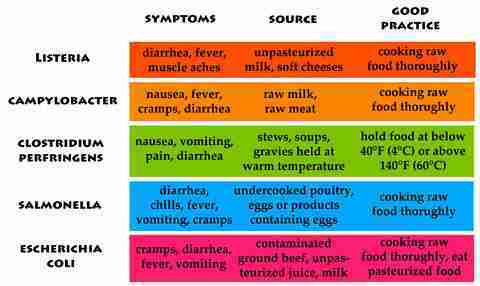 Besides bacteria, Viruses and protozoa and even some prions (mad cow disease, ring a bell) can cause food poisoning. Noroviruses are the leading cause of foodborne illnesses causing 58% of all, more than protozoa and bacteria combined in 2011. There still are many pathogens undiscovered that can cause foodborne illnesses and are currently under investigation. Hepatitis E virus in pork products is an example. Detection techniques lag behind the threat bacteria and viruses pose to food and that is the reason why still many cases of food poisoning are reported still every year. Eradication of food poisoning is an impossible expression, we can only decrease the number of cases and that too would take a lot of time, determination and public awareness. there are two common ways an individual can get a viral infection from food. Fruits and vegetables. most often lettuce and berries can harbor the virus on the surface or in contaminated water of foods. Meats, however, can carry the infection actively being infected by these viruses for example pig livers and duck meat. This thought alone should not stop you from eating your favorite foods. The risk is small and can be made smaller by hygiene. The USA still has one of the safest food supplies in the world. Noroviruses (the leading cause of foodborne ilness) are called the “cruise ship” virus. They surpass even salmonella as the top cause of foodborne illness in the USA. Eating or even touching a contaminated surface with this virus and then touching your mouth with that area can cause disease. 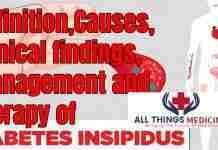 Infected persons secrete virus in these bodily fluids even before they show the symptoms themselves. Norovirus known best for their location on being cruise ship outbreaks, are found everywhere else too. They spread like a fire through any department they come to, be it campuses, day care centers or any place with a huge crowd of people. The best defense against this foodborne illness is to wash hands well with proper soaps and water before eating or going to the bathroom. Not share food and utensils with sick people as it is termed one of the most infectious microorganism. Unhygienic or uncooked shellfish is popular for causing hepatitis A, but many other foods can deliver the virus too. Lettuce (again) and onions served in restaurants are also reported. why specifically are berries more involved? because they have crevices where microorganisms hide and require better cleaning and longer cleaning than other foods. Like norovirus, Hepatitis A virus can also spread through an infected person handling the food, also can hang out in water that is contaminated with feces. Shellfish like oysters and mussels, filter large volumes of water and can take up both the Noro and the hepatitis A viruses. Hepatitis A infection causes fever, nausea, vomiting, and loss of appetite and although almost all people make a full recovery, some may not even have any symptoms but pregnant women and elderly have a higher risk of jaundice and severe liver disease. Hepatitis A vaccine has reduced the number of cases by a vast number since 1995 but then not the whole world is being vaccinated. Tops all other hepatits viruses (A-E) as the leading cause of acute viral hepatitis infections worldwide, in many cases infections do not lead to symptoms but like others, it can lead to chronic liver disease, including cirrhosis and cancer, in individuals with already weakened immune systems. like Hepatitis A, E can also spread through foods, lettuce, and shellfish, and contaminated water being the toppers of the list. researchers though have also dug out the fact that the virus can infect pigs, deers, wild boar and other animals. Cause infection after eating their meat. A study revealed that 11% of pig livers sold in U.S stores as a sampling technique contained infectious hepatitis E, although eating these have linked to a lesser number of cases comparatively and that too only in Japan. It has also been found in the pig livers of Germany, Colombia, and other countries in also the form of pork liver sausage in France. The virus can be killed, by cooking products to at least 165 degrees Fahrenheit (especially pork) but boiling or stir-frying for five minutes can also destroy it. Research suggests that almost 20% of the citizens of the USA have probably been exposed to the hepatitis E virus, although many probably had no symptoms yet. This has been a mystery but Meng, a professor of molecular virology suggested that they may have contracted the virus through infected animals, like pigs. The life cycle goes on as the virus is shed in the feces, pigs sniff around and get infected, and it becomes a cycle of infection. Just like in humans, hepatitis E targets the liver of pigs and animals. SARS (severe acute respirtory syndrome) may seem like a myth of the past but no it is here again. there have been no known cases of the virus for a long time and it causes fever, aches, and pneumonia. around 9000 cases of SARS brokeout in 2004 and was linked to viruses contracted through feces in the environment rather than a direct person to person contact. SARS outbreak is on again and it is posing a threat to worldwide health. 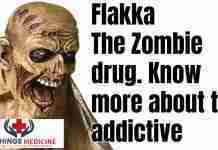 It infects many animals, including rodents, monkeys, dogs, and cats. A study found that SARS in water contaminated from cows could survive on lettuce for up to weeks. However, it is not clear that can people contract SARS? that commonly spreads through sneezing and coughing. Pakistan has recently been under attack from a poultry causing foodborne disease named bird flu. yet again it is having it back. Flu strains cause a lot of disease in poultry, highly pathogenic have been detected in contaminated eggs and frozen duck or chicken meat. however, SARS and bird flu would be kept on a lower lethal level compared to norovirus and hepatitis. Recent reports have suggested that chicken feed nowadays in the USA and other countries including Pakistan contains a special component named SINKYA. Sinkya is a human poison, It fastens the growth of chicken but makes them susceptible to heart attacks, this poison when enters the human body, it harms the bones and calcium in an irreparable way. the poison is not excreted and will be within the person till death. It is a slow killer and chicken feeders and chicken ingesters should be checked and provided awareness respectfully. Although norovirus triggers the most cases of food poisoning, salmonella causes the most serious, sickness of foodborne bugs. This bacterium was blamed for 36% of the hospitalized illnesses, most often because of severe diarrhea in 2011 according to CDC. Recently an outbreak of Salmonella linked to frozen chicken products is sickening people in many states of the USA. Cooking any kind of poultry to 165 degrees Fahrenheit kills the bacteria like all others. 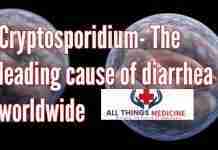 Toxoplasma, a protozoan present in ground meat, poultry and dairy products is gaining attention because nowadays it is the leading cause of death due to foodborne illnesses. That was all about Major causes of food poisoning in the world, especially the USA. 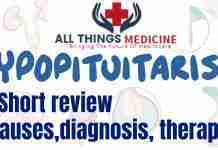 you might want to read about other common and lethal diseases worldwide.